Russians have survived some of the coldest winters on the planet for centuries, and they've done so primarily without the benefits of modern products like insulated boots and synthetic fibers. To keep their feet warm, Russians traditionally wore felted (or fulled) woolen boots known as valenki. Valenki are made from raw wool, they are very thick, and they keep feet warm even in the most frigid environment. Current technology has rendered one improvement for these traditional boots: a rubber coating or galosh to keep the sole of the boot dry. Today valenki have regained popularity and are now worn for fashion as well as warmth. The valenki boot has evolved from its original black or grey color into brightly dyed and elaborately decorated boots. Fill a sink or tub with warm water and add a small amount of dish soap. 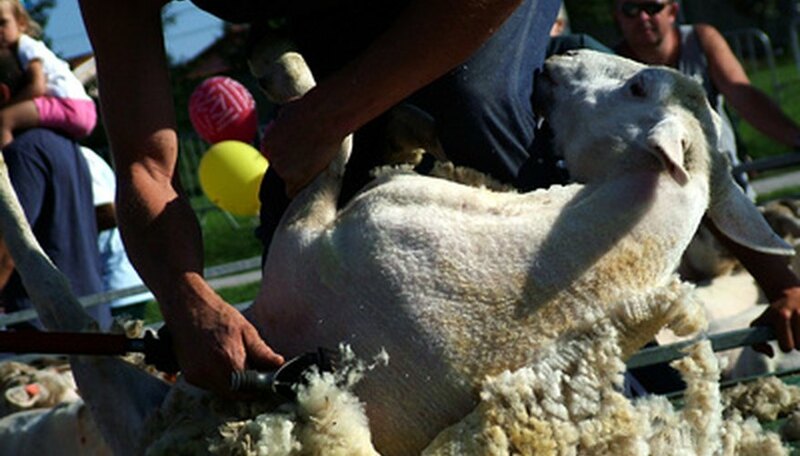 Put on the rubber gloves to protect your skin from abrasion with the wool. Place your boot mold into the sink. Submerge one handful of the raw wool and begin felting by rubbing the fibers together under the water. The wool will begin to felt. Once you have a small piece felted to the thickness you desire (for the sole of your boot, 3/4 inch to 1 inch is recommended and for the shell of the boot, 1/4 inch to 1/3 inch thickness is recommended), place it onto the mold. Submerge a second handful of wool, rub it lightly then place it adjacent to the felted wool on the boot. Use the felting needle to pull the new fibers into the felted piece. Pulling and poking the wool with the felting needle will felt the new fibers and connect them to the previously felted fibers. Continue this process until the boot is the desired height and thickness around the mold. Traditionally the valenki boot will cover 3/4 the height of your calf. Leave the felted boot on the mold for 24 hours to prevent further shrinkage while the wool dries. Once the boot is dry, remove it from the mold and decorate. Felt decorations into your valenki boots with felting needles by pressing dyed wool into raised patterns and shapes on the exterior of your boot. Embroider leaves, flowers or geometric patterns with wool embroidery yarn. Thread the embroidery needle, tie a small knot at the end of the yarn, and press the needle from the inside of the boot to the exterior in the desired pattern area. Embroider your decorations by pressing the needle through the entire thickness of the boot's shell. 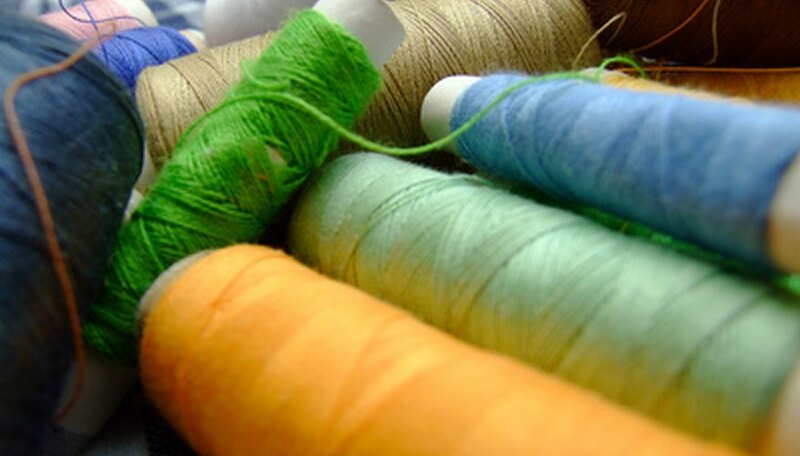 Add beads of any size by sewing them into the wool. Always press the needle entirely through the wool to properly secure the beads. Wear your new valenki boots on cold, dry days. 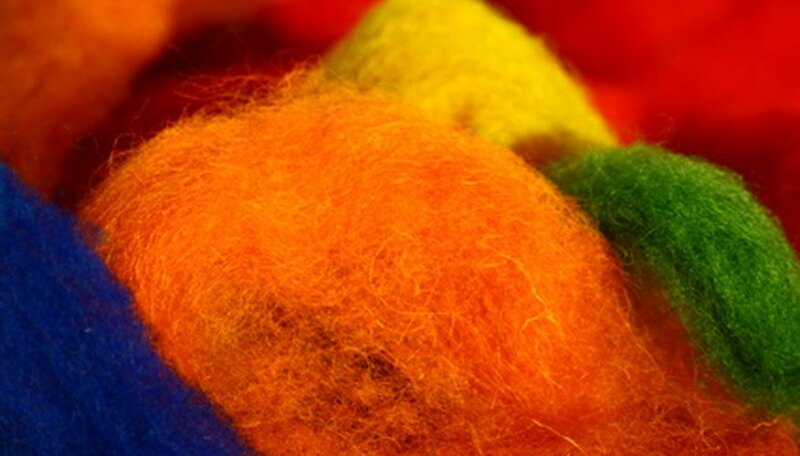 Make the felted valenki colorful by dying the raw wool prior to felting. Use the dyed wool to create patterns in the form of your felted Russian boot. You can continue felting the wool to reduce the size of the boot if it doesn't fit properly. Simply place the felted boot into warm water and use the felting needles to compress the boot evenly. Clean your valenki boots with caution and according to normal wool care procedures. Do not machine wash or dry your felted boot after it has reached its desired size. Additional washing in warm water or heat activated drying will cause the wool to continue felting and it will shrink too small for use.